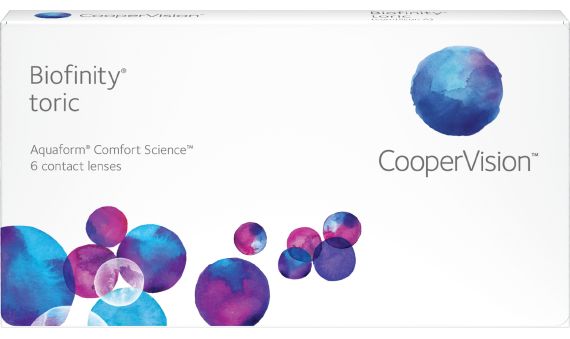 Biofinity® Toric is a high-performing, silicone hydrogel monthly lens for people with astigmatism. This lens combines two unique technologies: Aquaform Comfort Science lens material makes for a breathable comfort fit all day long, while keeping your eyes healthy and bright. These lenses are ULTRA™ efficient at retaining water. Your eyes will stay hydrated all day long. 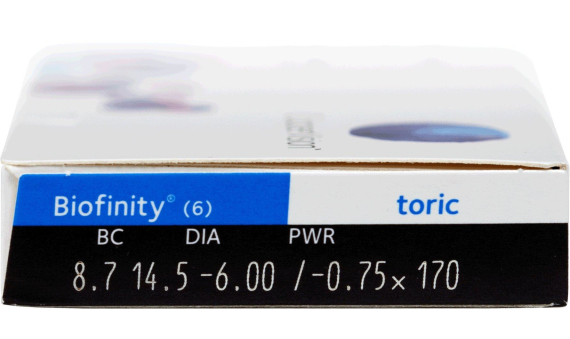 If you have astigmatism and a properly fitting, high performance silicone hydrogel contact lens is what you're looking for, look no further than the Biofinity Toric.